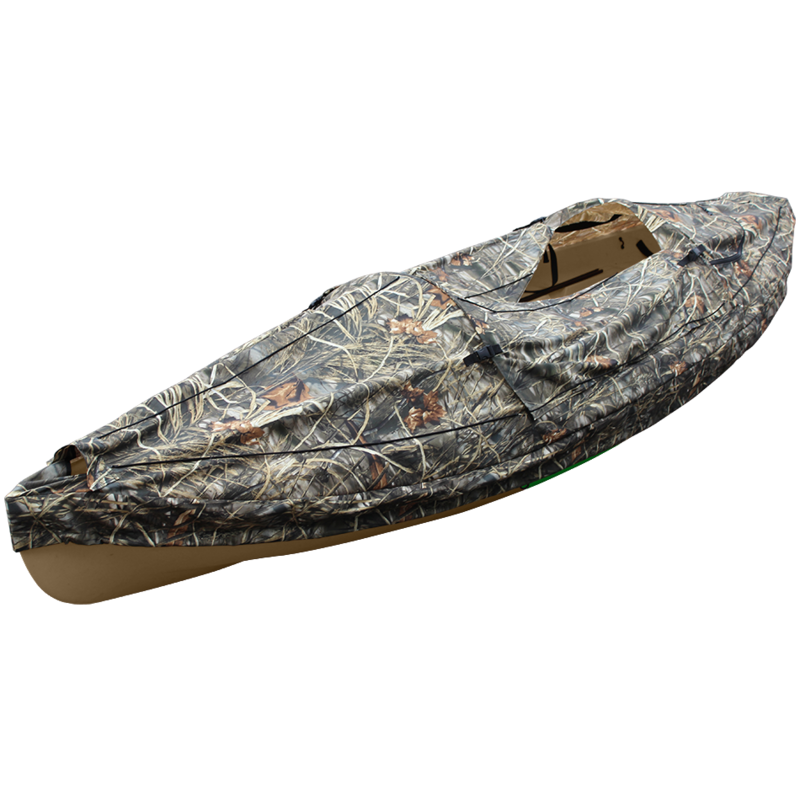 Low profile Duck Blind for the Frontier 12. Consists of bow section, stern section, and two side panels. Features include folding doors for maximum concealment, stern dog pod, motor mount opening, and vegetation straps from bow to stern. Best with kayak style seat or a layout seat. Utilizes existing deck hardware.